Mkay yeah I know I’ve been missing for a while. These past couple weeks have been insanity. I moved into my new apartment at LAST (hallelujah) and I’ve been trying to get into a routine with my new classes and things. It’s been a challenge, but we’re gettin’ there. Slowly but surely. 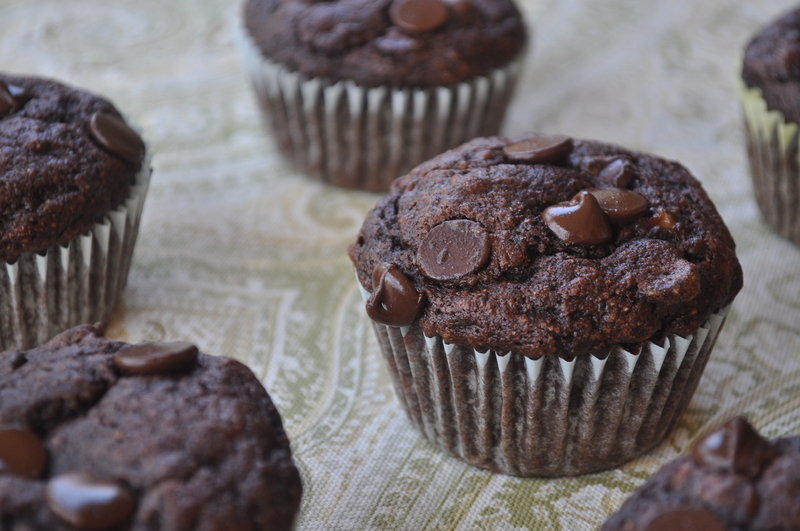 CONFESSION: I actually made these muffins when I was still at home. As in, weeks ago. And I’m just posting about them now, I know I knoooow. But my ever-so-slightly adapted version of this recipe is worth it. 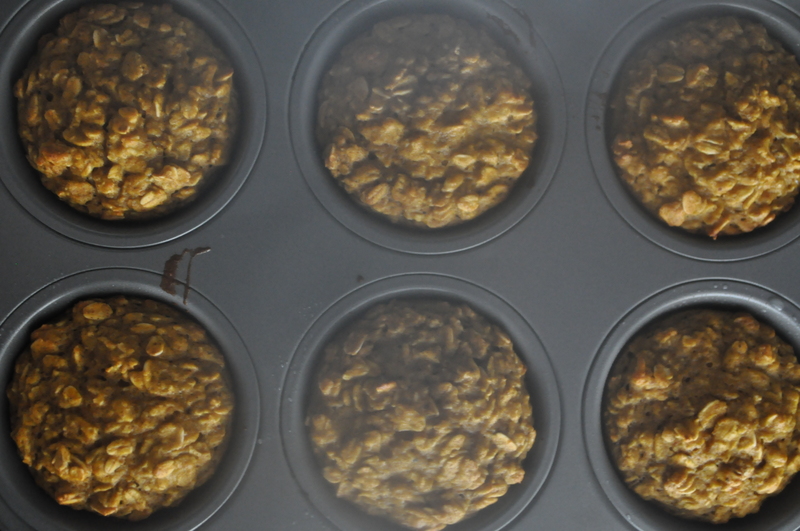 ANOTHER CONFESSION: I don’t even have real pictures of these muffins to share with you guys. And by “real” I mean liiike, nice pictures. I left my DSLR at my parents’ (WAHH) in all the packing madness aaaand therefore I only have my cell phone pictures accessible. So those will have to do! Sorry sorry–I am so discombobulated lately. Preheat the oven to 375° and line a muffin tin with liners. Set aside. Mix together your mashed bananas (try to get as many lumps out as possible, please! ), sugar, egg and applesauce. Sift together all of your dry ingredients and add to the wet mixture, stirring gently to combine. Fold in your chocolate chips. Don’t overmix! 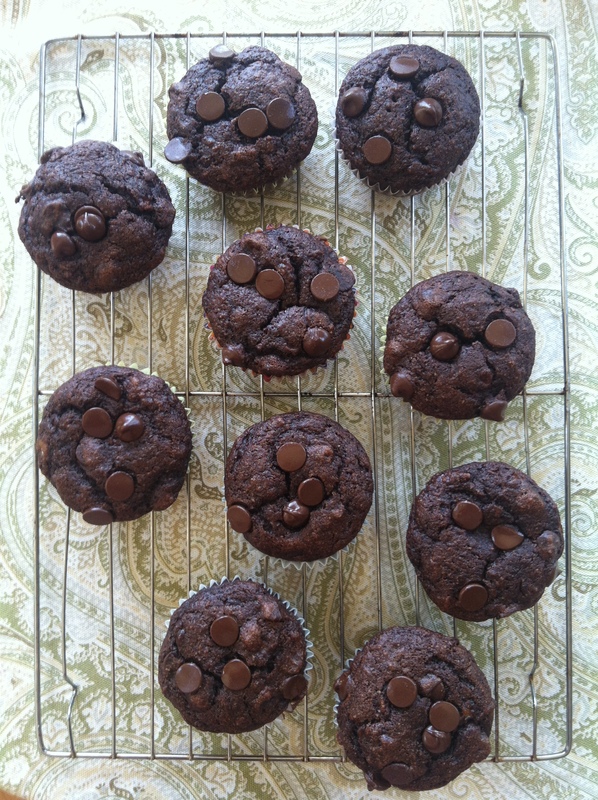 If you’d like, drop a couple more chocolate chips on the top to make ’em extra chocolatey and cute. I recommend it. 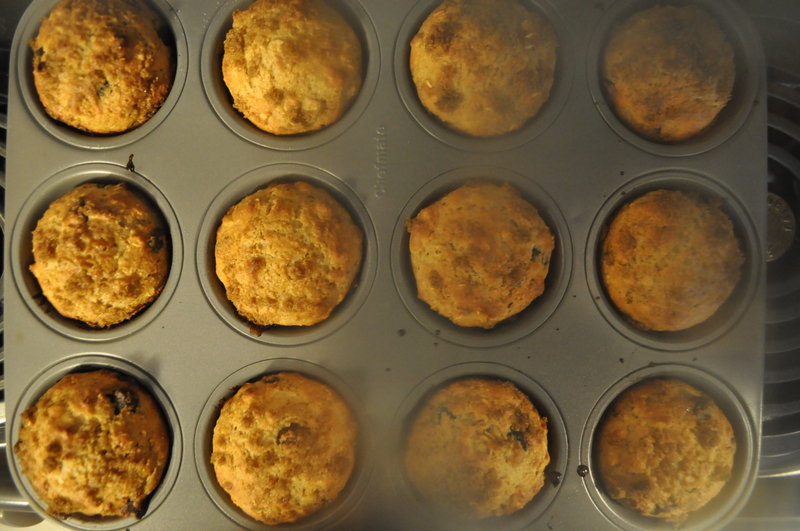 Divide your batter among the 12 muffin cups and bake for 18-20 minutes until a toothpick inserted into the middle comes out clean (but beware of mistaking chocolate-chip gooeyness for an underdone muffin). Let cool. Devour. These muffins are exceptional. And so easy. And they stay good for a while as long as you keep them in an airtight container, so you can enjoy them all week! More to come. Stay tuned for baking/cooking adventures from my new home sweet tiny apartment. Categories: Breakfast, Snack | Tags: banana, breakfast, chocolate, fudge, muffins, snack | Permalink. Preheat the oven to 375. Mix all the ingredients together in a large bowl and let sit. Grease or line a muffin tin and fill each muffin spot with the batter almost all the way to the top–since there’s no flour or anything, they won’t rise too much at all. Bake for 20-30 minutes until the centers are firm to the touch and the edges start to look a little browned. 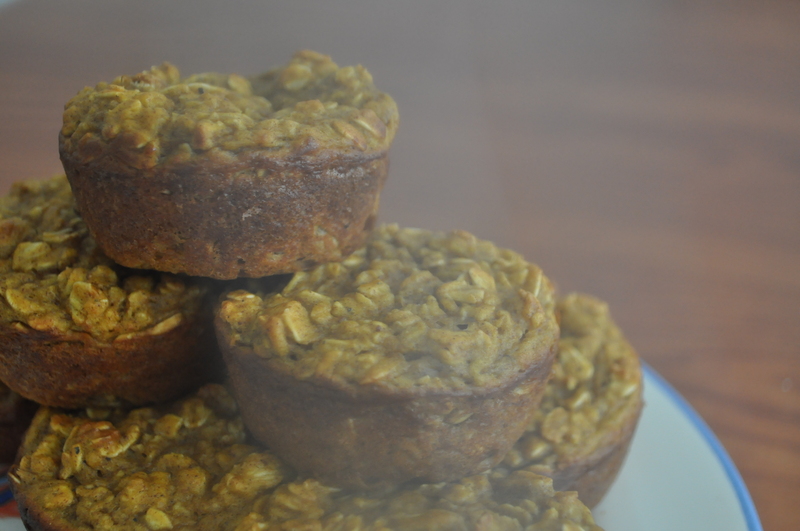 Let them cool for a bit before removing them from the muffin tin so they keep their shape! These did not take much effort to prepare, but the baking was a bit of a struggle. It took quite a while to get them to bake all the way through…initially I took them out of the oven after about 20 minutes thinking they were done and they were rather mushy. I took them out and put them back in probably 4-5 times; I probably had them baking for at least 35 minutes. They turned out fine eventually though! Patience was key. Hope you all had a lovely weekend. Go outside and see some fall leaves, New Yorkers! They’re beautiful. 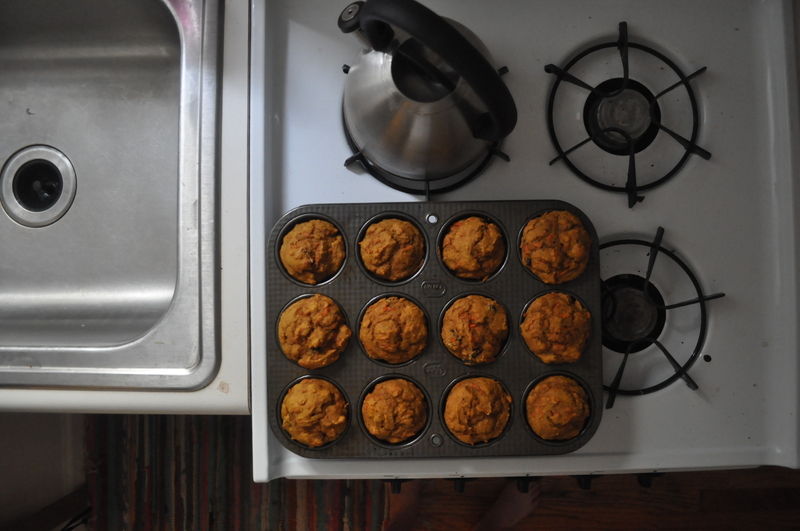 Categories: Breakfast, Snack | Tags: muffins, oatmeal, pumpkin | Permalink. 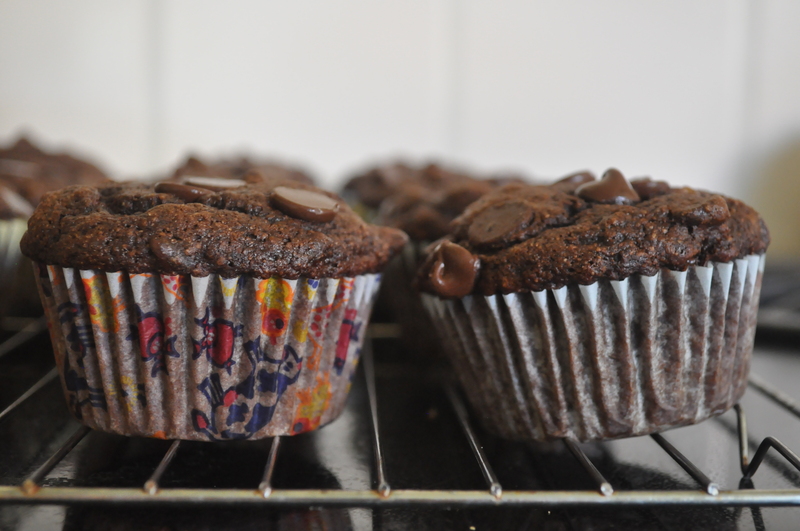 I made muffins today! I love muffins. They’re just so darn cute and portable and like, handheld (ha). I hardly ever eat them, but when I do, I quite enjoy them. I saw this recipe that used greek yogurt (yum) and didn’t have flour in it and I was intrigued. When my dad got a batch of blueberries that weren’t really worth eating plain (don’t you just hate when that happens?) I promised I would do something snazzy with them. Sooo these little muffins were the product of a combination of my muffin craving and blueberry availability. I obviously tweaked this recipe a fair amount (these are not, in fact, strawberry shortcake muffins at all), but I credit the use of oats and yogurt and such to the Dashing Dish. Thanks! Preheat the oven to 400. Grease a muffin pan or fill with foil liners (the other recipe said that these particular muffins stuck to the paper ones); I greased mine with coconut oil and it worked fine. I was a liiittle nervous that they wouldn’t make it out of the pan in one piece, but they popped right out! 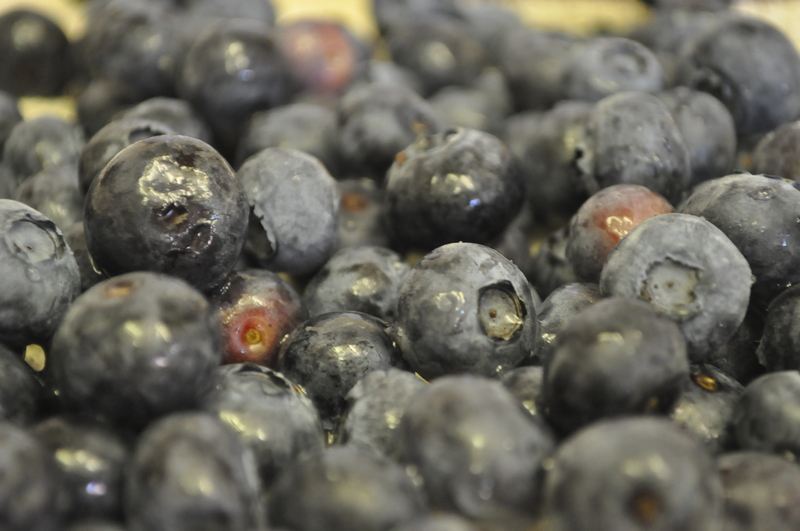 Put all of the ingredients except for the blueberries in a blender or food processor and blend until smooth. 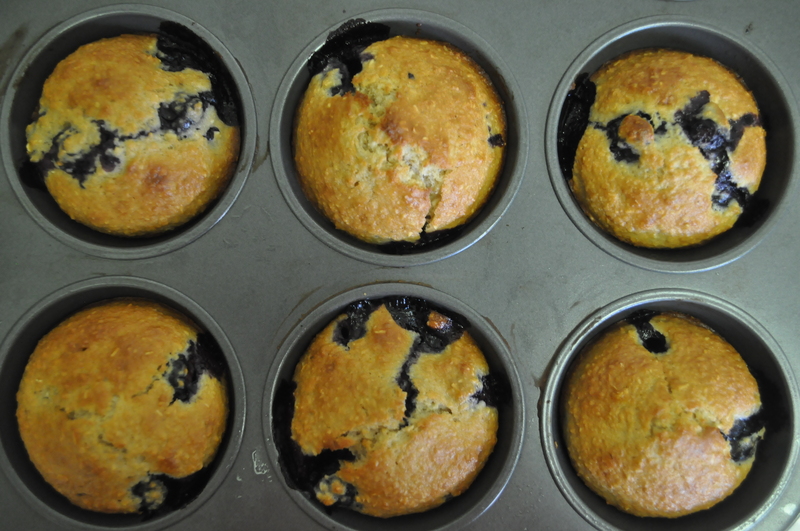 Stir in the blueberries and pour into prepared muffin pan. Bake for about 17-22 minutes until a toothpick comes out clean. You’re done! So easy, right? 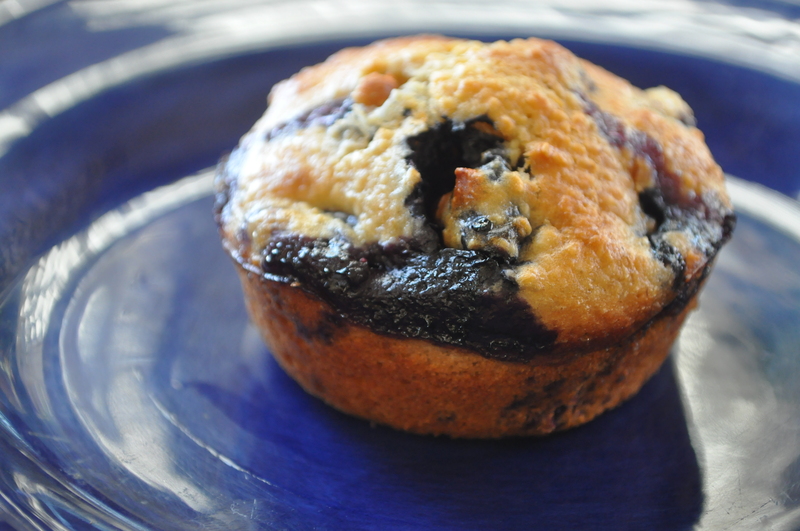 These are just the perfect little blueberry muffins. The vanilla yogurt adds a nice sweetness and vanilla-y flavor without being overwhelming. 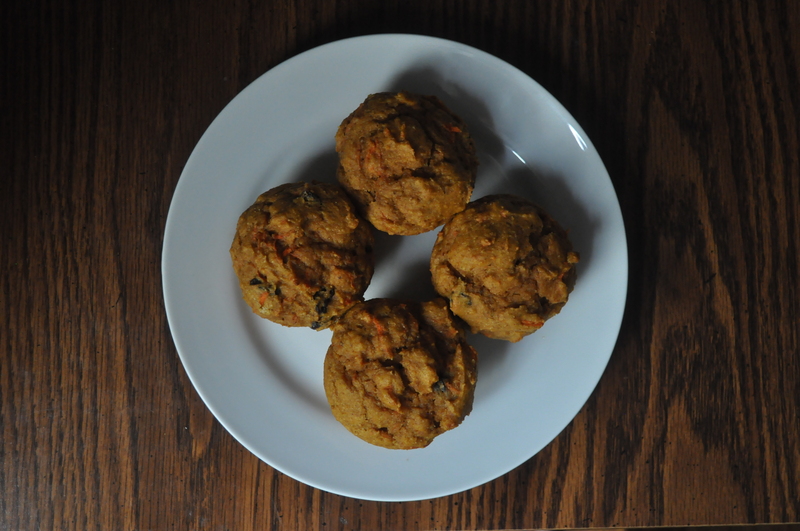 This is just a nice go-to muffin recipe; I’m sure I’ll use it (along with experimenting with different ingredients!) plenty at school to feed my muffin-loving friends. Much love to all of you friendsies who have told me recently that you read/like my blog, it means a lot! You are all wonderful, beautiful people. Categories: Breakfast, Snack | Tags: blueberry, breakfast, muffins, snack, yogurt | Permalink.